Mail by e-trike will be making its debut in Stratford (London), Cambridge and Sutton Coldfield later this month. The 6 month trial is being heralded as an example of Royal Mail’s efforts to reduce C02 emissions. 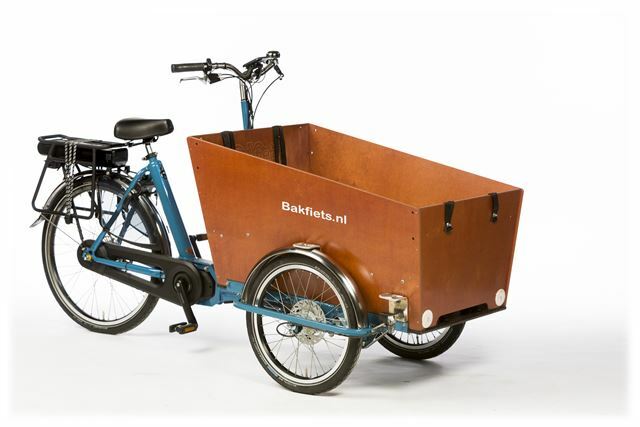 The 250w assisted trike’s cargo area will offer a large load capacity for letters and smaller parcels being delivered in trial areas. Eight e-trikes are taking part in the trial, with Royal Mail hoping for a wider roll out in future. 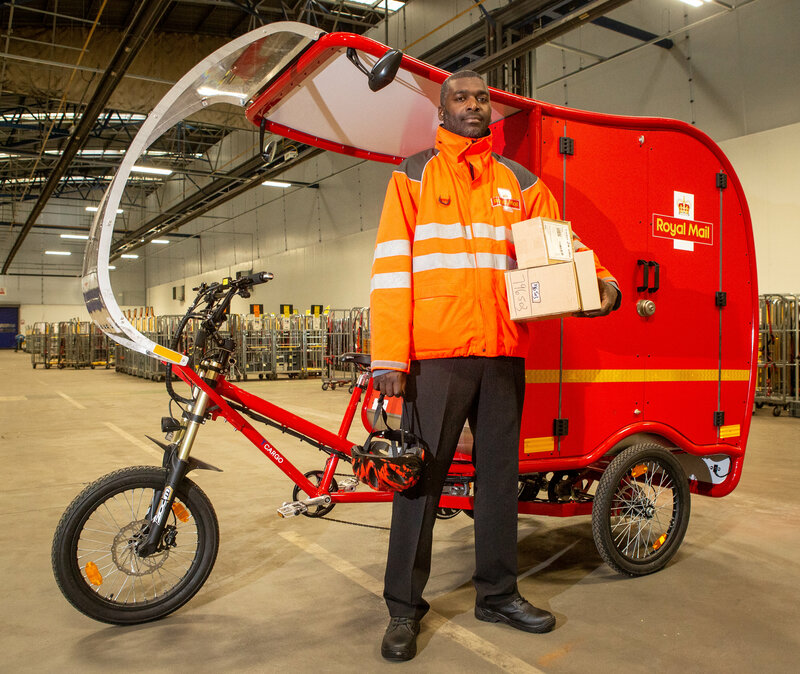 Royal Mail say that e-trikes are the ‘first of a kind’ for a company that has delivered the nation’s post by various modes of transport, from horse and cart to steam engine – with 2019 marking 120 years since Royal Mail first experimented with motorised vehicles for deliveries. Not on trial, in every day use for quite a while. A moped not a pedelec. Oh well... somebody already did... Can be covered and locked, the mail is reachable without dismounting, weather protection could be easily deployed.